Photographer Anita Sedowska takes us through what a Parabolic Umbrella and a beauty dish does for portraiture. 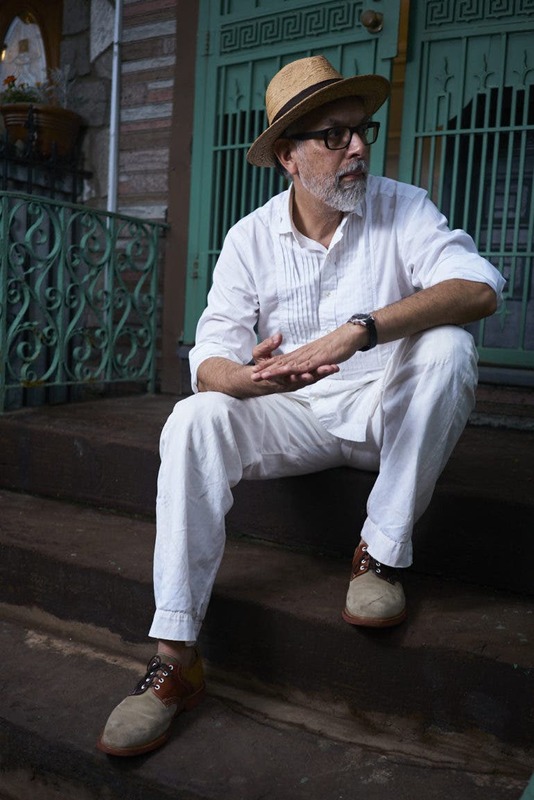 When it comes to portrait photography there is no doubt in my mind that softboxes are the most popular diffusers, but parabolic umbrellas and beauty dishes are also a favorite of many photographers. If you’re just getting into lighting, then it can be confusing as I’m positive that anyone can look at an image and not know whether or not a softbox, umbrella, or beauty dish was used to shoot it. Anita Sedowska takes you through it in her latest tutorial video which you’ll find after the jump, but we thought that we’d go into our archives to dig even deeper. Colloquially speaking, not many folks know what a parabolic umbrella is supposed to be. The most famous brand to create a true parabolic umbrella is Broncolor. 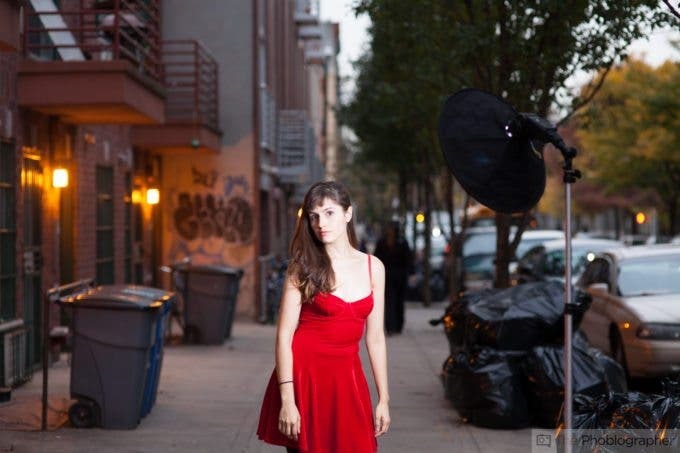 A true parabolic allows the photographer to adjust the amount of light throw that the umbrella has. To that end, it can be closed/opened with its position at varying parts of the umbrella stem. It doesn’t need to be fully opened and locked in order to be used. Instead you can have it halfway open or something else like that. But what Parabolic umbrellas and how they’re more loosely defined today are supposed to do is throw the light more forward rather than embrace the full scatter that an umbrella allows. Because of this, parabolic umbrellas tend to be more dome shaped than others. Pro Tip: Use an umbrella with a light hidden inside to create a really cool effect. Here’s an example of a smaller, and less parabolic umbrella. Below are more examples shot with a parabolic umbrella. Beauty dishes on the other hand are essentially big dishes with the flash brought in towards the back. The back has a hole where the flash is placed. The flash then fires onto a reflective plate inside the dish and the plate spreads the light out through the entire dish and toward the subject. Typically, the dish’s interior is white to add even more of a softening effect. 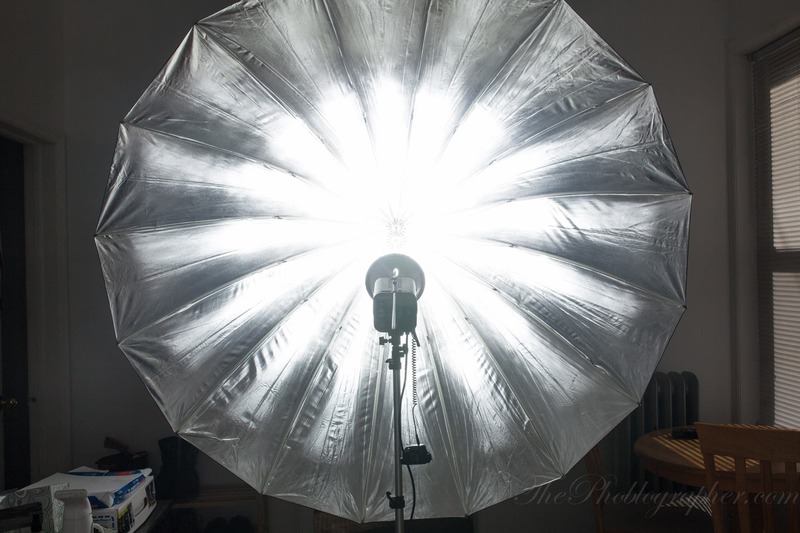 Years ago, I did my own hack involving a beauty dish and shoving a Gary Fong Lightsphere inside of it. This allowed me to place a speedlight inside the dish effectively and safely. Here’s a beauty dish setup. Here’s a photo example shot with a beauty dish. 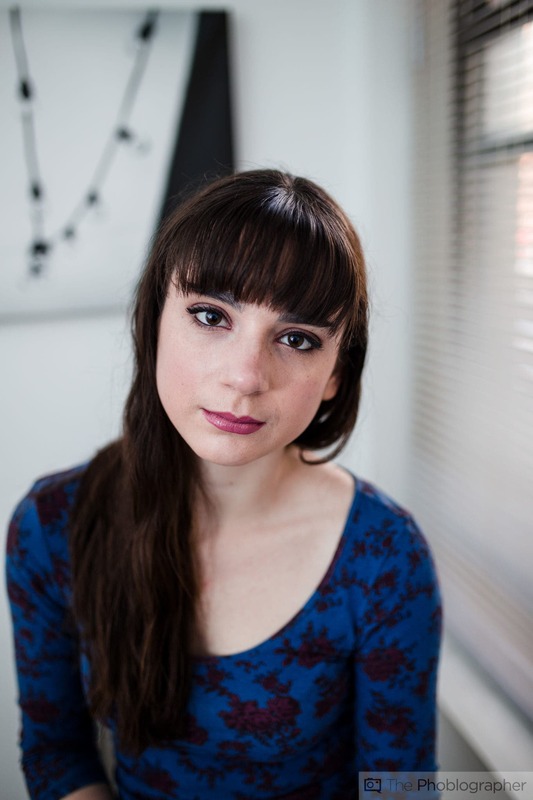 The light is much harsher because it is a smaller light modifier (which Anita states in her video. So which one should you use? Personally, I always reach for my umbrella. But in the past few years, I’ve been reaching more and more for my Roundflash Dish because it is more convenient and more portable. But if I’m going for an umbrella, it’s typically go big or go home. In a time where companies, celebrities, and even governments are coming under cyber-attacks, getting hacked might seem inevitable. But according to former NSA hacker David Kennedy, there are steps you can take to prevent it from happening to you. Kennedy shares his five must-do tips for protecting yourself from hackers. Following is a transcript of the video. David Kennedy: "Mr. Robot" is probably one of the most accurate portrayals of what hackers can actively do. If you’re interested in hacking and don’t understand a lot of this, the TV show itself actually employs hackers to work on the show to depict real-life hacks that could happen in real life and it’s a very very accurate portrayal of everything that we see in today. From being able to hack Smartphones to getting access to a big corporation and being able to bring them to their knees from a cyber perspective. So what’s the top five things that you can do to make yourself more secure both at your business and your home? Number one, use two-factor authentication or two-step verification everywhere that you can. Your banking systems, Twitter, Facebook all support the ability for you to enable an additional security feature that you may not know. You go to your settings, it’s in there. You can enable it and every time that you log in, it’ll register your computer, and you can then get a text message to go into that system as a second form of verification. And why that’s important is because if a hacker gets access to your password, they still have to have access to your phone to get access to your account. And that’s really important by enabling that specific security step, probably number one. Number two, don’t use the same password everywhere. I know it’s hard, but using the same password everywhere is one of probably the easiest ways that we break in as hackers. So if you have the same Twitter password as your same banking information, those are things that can get you in some serious trouble. Number three, make sure that you stay up to date. Those security patches. Every time you have a Windows update that says hey I need to update your computer, it’s usually to fix a known attack that hackers have figured out to get access to your computer. So keep up to date whether you’re using a Mac, they aren’t impervious to attack, or you’re using Windows, same thing, update your systems. That’s the most important thing, always keep up to date with what you’re having out there. Same thing for third-party applications. If you’re using Java, Adobe, PDFs, Office documents, those are all things that you want to keep up to date and that makes it much harder for us as hackers to break in to your system. Number four, social media, be careful with how much information you actually put online. We as attackers can look at that. 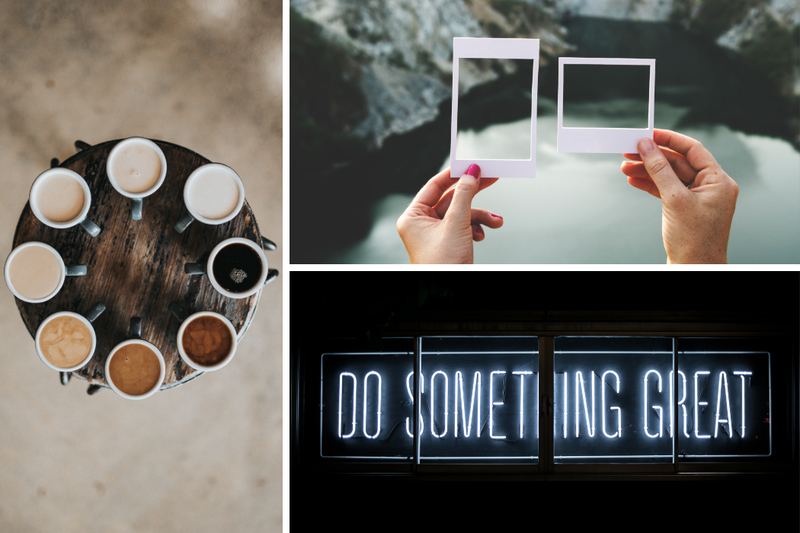 Look at what you do, your spending habits, what you might be doing from a day-to-day perspective, going and buying Starbucks at a certain location. Those are all things that we can use to identify when you’re gonna be out of the country or when you’re gonna be at a business meeting. We can use that as a method to attack you. One of the main things that we do as hackers, especially when it comes to social engineering, is we create a sense of urgency. Something that you’re familiar with, but you have to take action upon. So let’s just say for example, I’m a Verizon customer and I have an Amazon package that’s getting delivered. Well, if I, as an attacker, know an Amazon package is getting delivered, sending a text message from a Verizon customer support service line coming from Amazon saying hey your package is being rerouted, you need to log into the site to get it delivered again, is something that an attacker can use. So those are things that attackers can leverage as urgency, how you actually operate, and all that information that you post online are things that we can use as attacks. And last but not least, personal information. That’s one of the biggest things that attackers can leverage to get access to your data. Things like social security numbers, your credit card numbers. A person is not going to call you on the phone from a banking service and ask you for that type of information. So whenever you get a call, that’s too good to be true, or a call that is a fraud services line, call them back. Look at the number on the website themselves and call it back cause a lot of times attackers will impersonate financial services. They’ll impersonate different organizations to try to get your personal information and use that to be able to make fraudulent charges. So when it comes to that, your phone, verify first. Go to their site, call the site itself, off from there and then call to an actual person that’s actually at that institute itself. 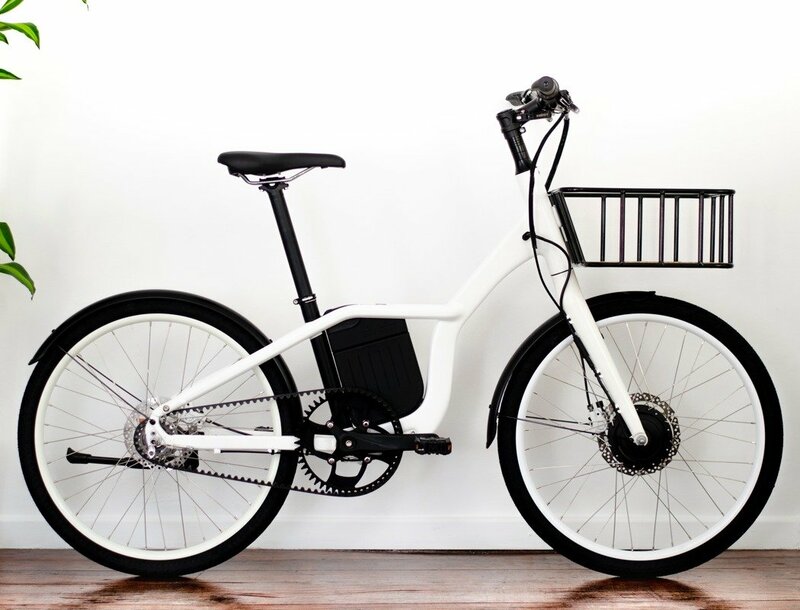 Simple and sophisticated, the oh!bike comes with a level of sensitivity, scalability, and planning that one expects from a bike that’s objective is to turn our cities electric and eco-friendly. 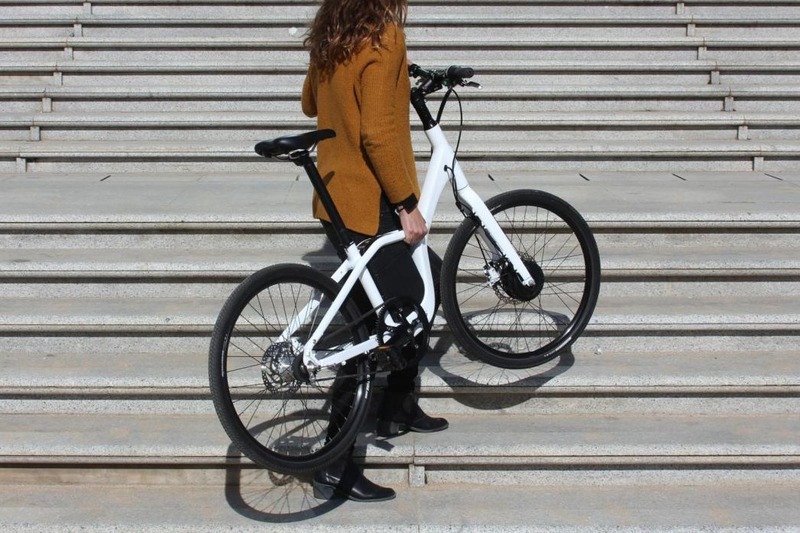 With a design that looks great no matter the age or gender of the rider, and a performance that allows the oh!bike to be used in any urban or suburban setting, the oh!bike is smart, and coincidentally also the world’s lightest e-bike. 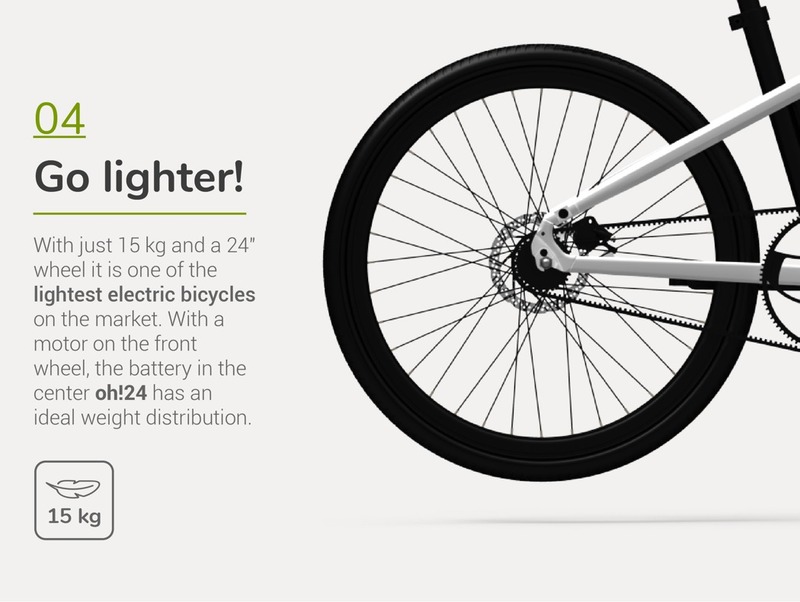 Weighing at just 15kg, the oh!bike comes with a clever two-wheel drive. 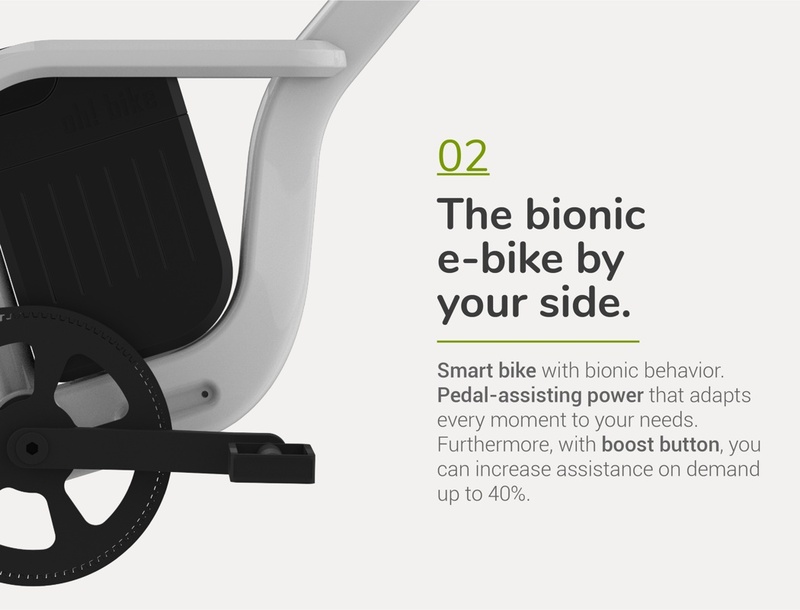 The pedals, operated by the rider, rotate the back wheel, while motion sensors on the pedal pick up your movements and assist them with a motorized drive on the front wheel. To balance the bike out, the battery (with a range of up to 50km) sits right in the middle, above the pedal, snapping on and off when you need, and powering the 250W motor. Ride in eco-mode, and the bike gives you a light assist, making you go further with each pedal, or switch to power-mode for a boost of up to 40%, helping you on tougher terrain, or when traveling uphill. Designed in Barcelona, the bike meets not just environmental needs and engineering standards, it boasts of a home-friendly design too. 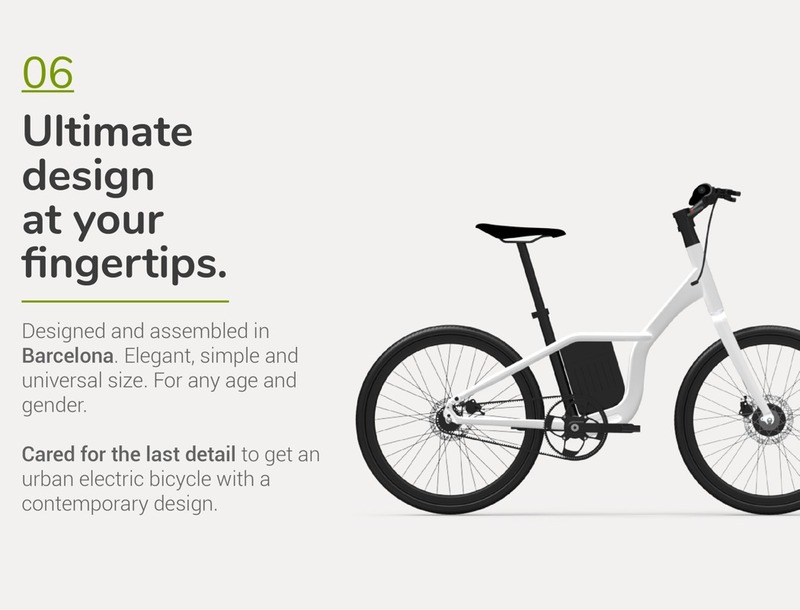 The black-and-white design detail fits perfectly in any color setting, and the bike comes with foldable pedals and a rotating handlebar that lets you slide it into the thinnest of spaces, storing it for another day. 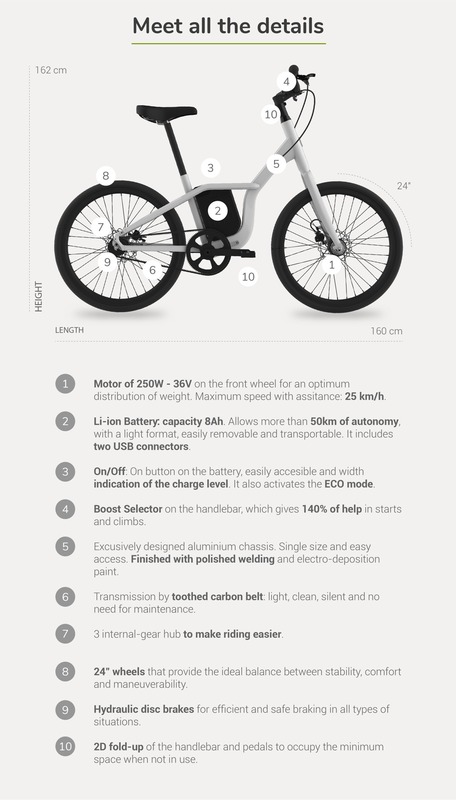 The battery is detachable too, and charges via USB, allowing you to juice up at home or even on the road… and at a mere 15kgs, the world’s lightest e-bike makes a strong, ambitious attempt to wean the city off its dependence on fossil fuels and the unreliability/inefficiency of public transport and usher in an age of smart, assisted, electric riding! 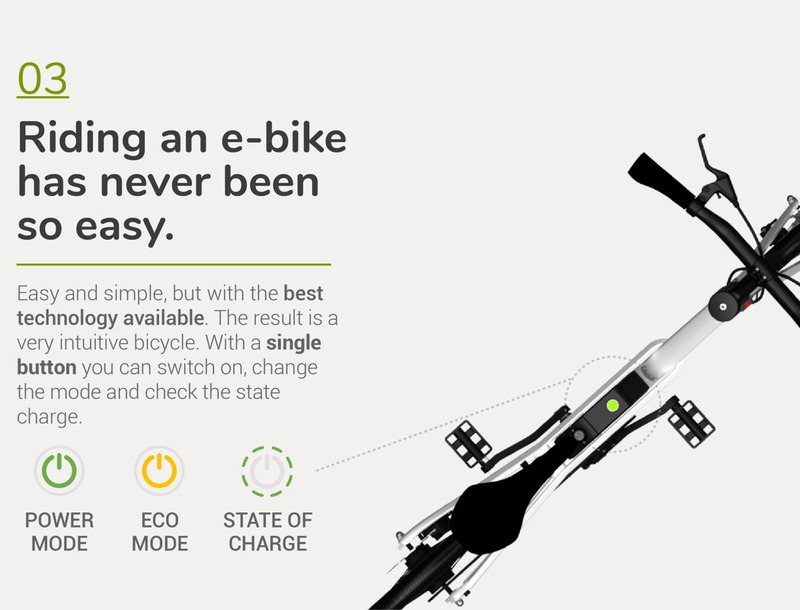 An e-bike that puts technology and innovation at the cyclist’s service. You can pedal and enjoy the city to go further in an easier way. They have incorporated a movement sensor in the pedal which measures the speed and force that you are exerting in the axis of the bottom bracket. 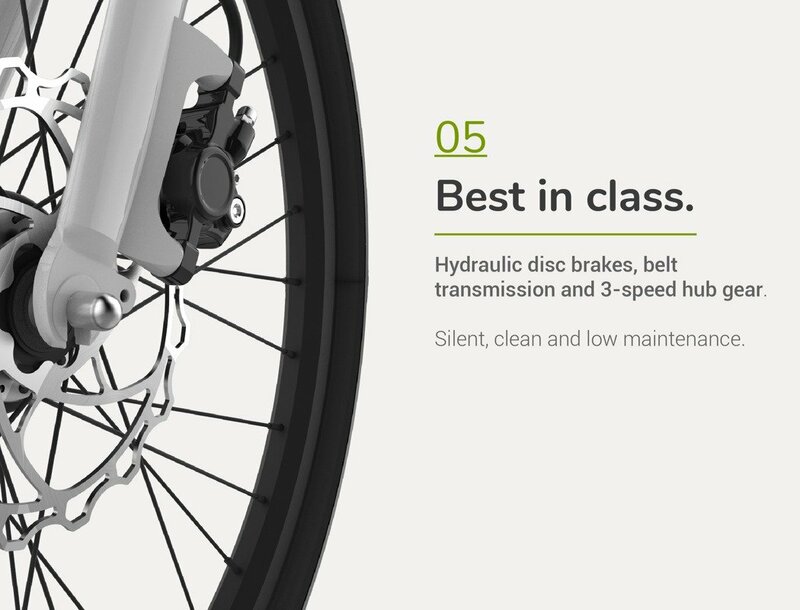 With this information the oh!bike adjusts the power supplied by the engine and provides the assistance you need at all times. 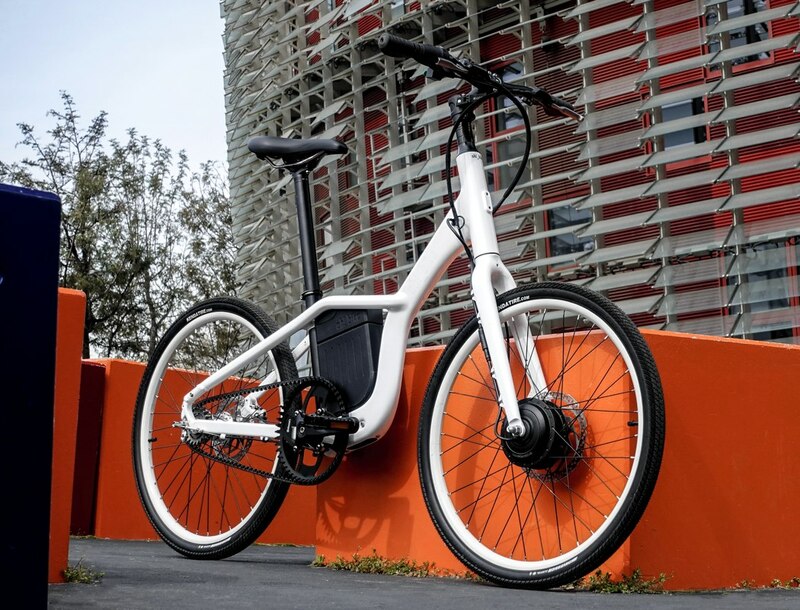 With the 250 W engine in the front wheel and the battery in the center the weight distribution is ideal creating a two-wheel-drive bicycle (2WD): the rear wheel through muscle energy and the front wheel with electric power. In their own test bench, they have simulated thousands of routes and conditions to ensure maximum efficiency in the motor system and a smooth response in all situations. They kept the bicycle in its purest state. Making it easy and simple, like a conventional bicycle, giving up unnecessary complexities, but with the best available technology. 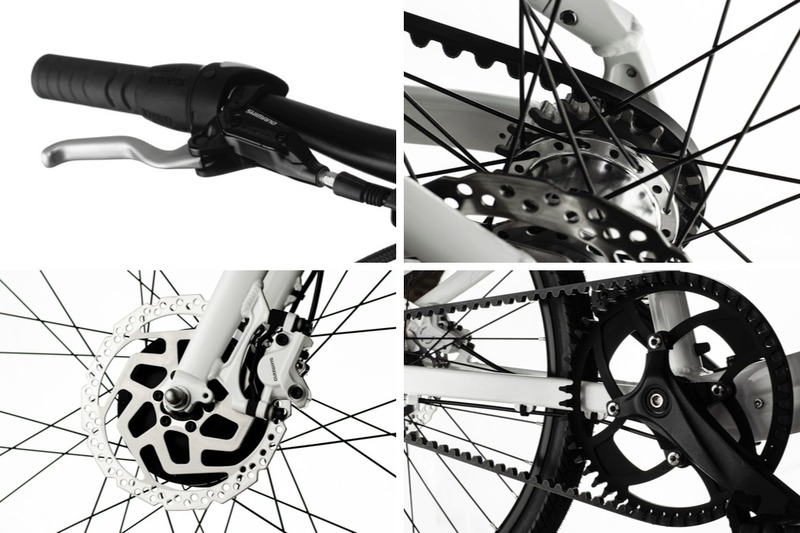 The oh!bike is above all intuitive, with an extremely simple interface. There is a button to start, and a boost button that increases the assistance when you need it at will. Do you want to know the status of the battery? It’s very simple you just have to check the power button. It has 8 green LEDs that go off as the battery is consumed. 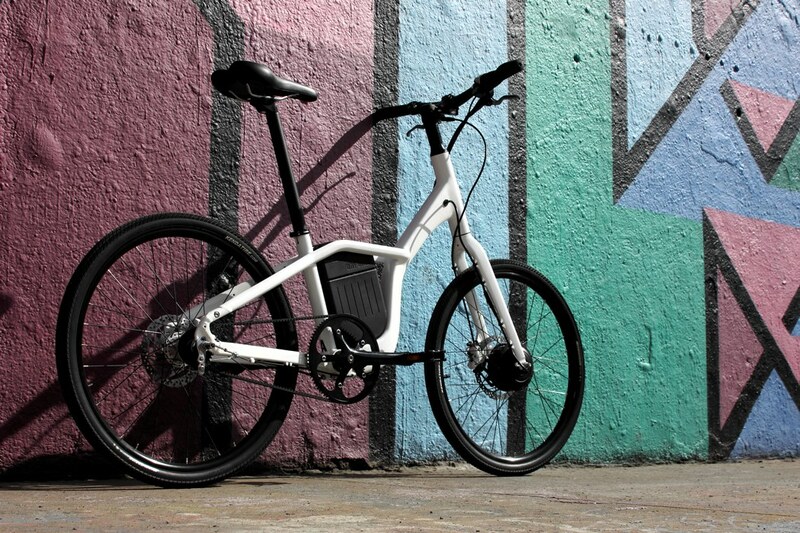 Oh!bike is one of the lightest electric bikes on the market. With a 24 “wheel much more stable than any small wheel (20″) and much more maneuverable than those with a large wheel (26 “or 28″). 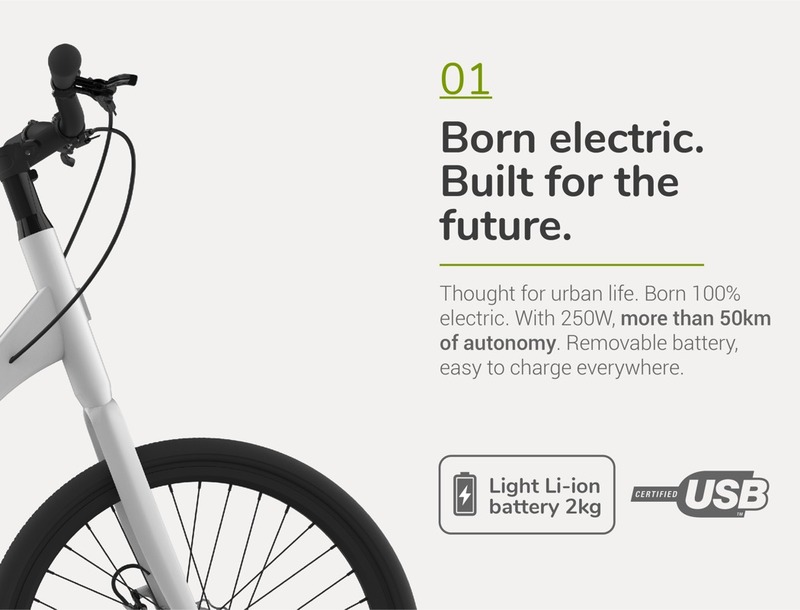 For more than 3 years, a group of engineers and designers from Barcelona has been working on the creation of a new concept of urban electric bicycle. They wanted to give as much importance to the form as to the function. That’s why the bicycle oh!bike has a unique style. An accurate design and special care to the last detail. The first full-length trailer for the Freddie Mercury biopic Bohemian Rhapsody goes behind-the-scenes on some of Queen’s most classic tunes in an emotional romp through Queen history. Bohemian Rhapsody centers on Queen frontman Freddie Mercury, played by Rami Malek, and the newest trailer touches on how he helped inspire some of the band’s iconic songs and how he handled the public’s interest in his personal life. Backed by a handful of rocking Queen songs, the trailer is an electrifying spectacle. Our solar system is already teaming with nearly 200 moons, and we just got 12 more to add to the list. 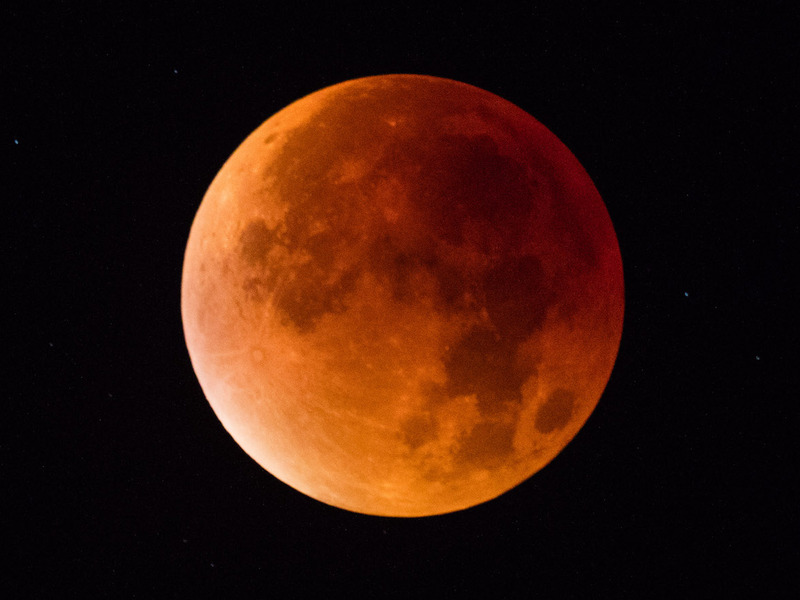 A team led by astronomer Scott Sheppard out of the Carnegie Institution for Science discovered the moons in 2017 using one of the most powerful digital cameras in the world, the Dark Energy Camera. And after follow-up observations, they’ve confirmed that Jupiter has even more moons than we thought. 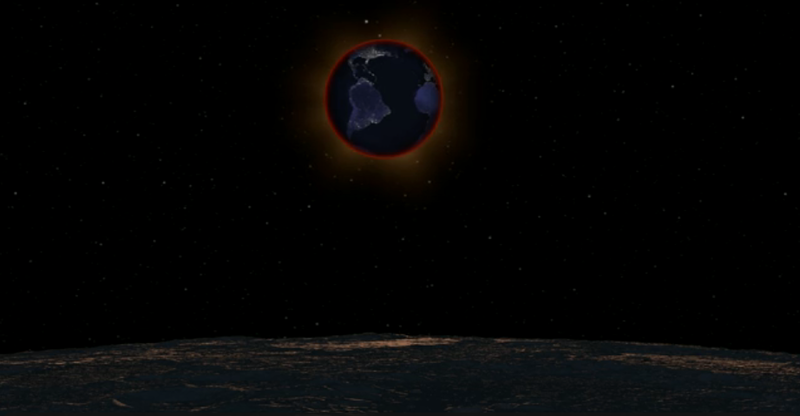 And these new moons point to a violent and destructive past. Following is a transcript of the video. There are nearly 200 moons in our solar system. And more than a third of those belong to a single planet: Jupiter. Jupiter has the most moons of any other planet. And if that’s not enough astronomers recently discovered 12 new ones to add to the list. That’s Scott Sheppard. He’s an astronomer at the Carnegie Institution for Science who spends his time searching for new objects in our solar system. Already, he and his team have discovered evidence of a potential planet beyond Pluto called Planet Nine. And now, 12 new moons of Jupiter including the weirdest one yet. Jupiter’s moons are sort of like opposite lanes on a highway. Two of the new moons are in a group that orbit in the same direction as Jupiter’s rotation called the prograde group. While nine of the other moons orbit in the opposite direction, farther out in the retrograde group. And each moon stays in its respective lane. 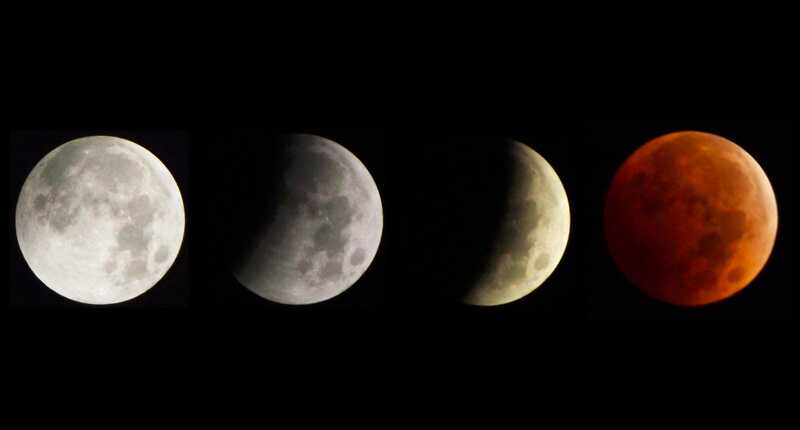 Except for the last moon. It’s a rebel. It orbits in the same direction as Jupiter’s spin, similar to the first two new moons. But it’s not part of the same group. Instead, its path takes it into the realm of the nine moons that orbit in the opposite direction. Sheppard suspects that situations like this have happened in the past. Which helps explain why Jupiter has so many moons in the first place. Its powerful gravitational pull allows it to capture large passing objects that then collide with each other, forming dozens of new, smaller moons. 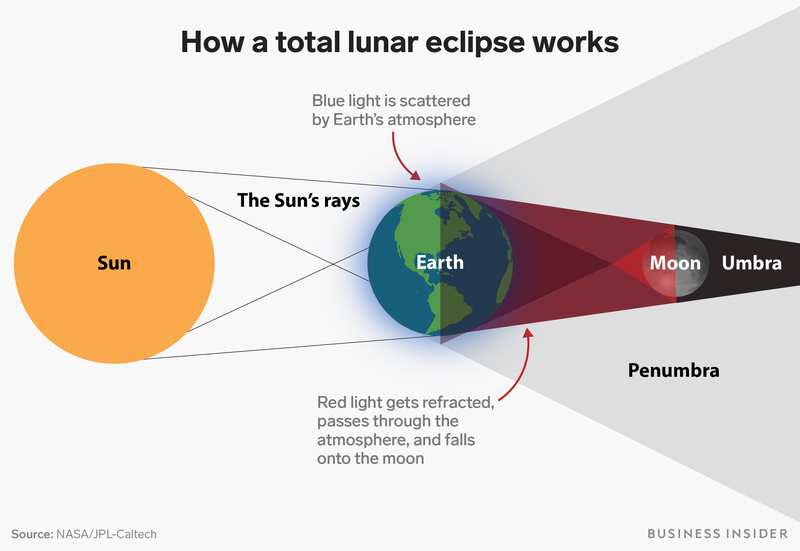 The moons are too small to see with the average telescope — measuring only a few kilometers in size. It took one of the most powerful digital cameras in the world — the Dark Energy Camera — to spot them. Now, all that’s left is to name the new moons. Sheppard and his team already proposed a name for the rebel moon. “Valetudo” — after the great-granddaughter of the Roman god Jupiter — also known as the goddess of health and hygiene. For the other 11 moons, Sheppard said they might let the public help out. 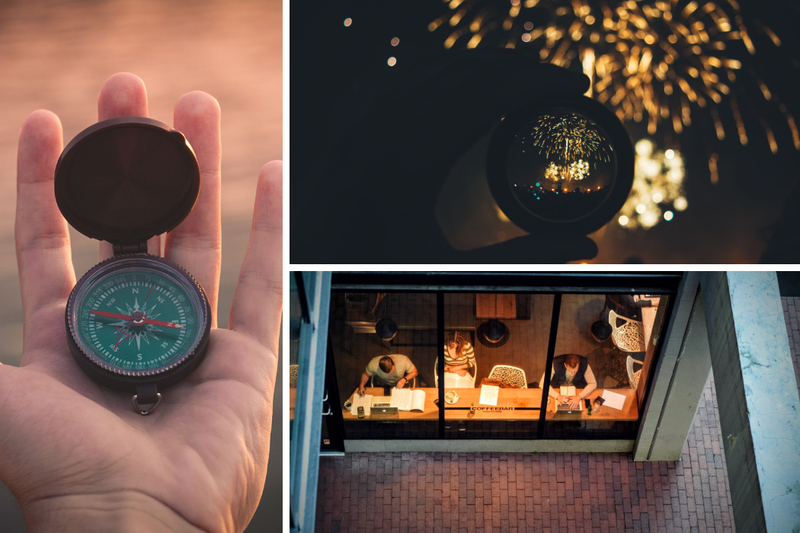 To hire or not to hire: that is the question! Going through endless meetings with candidates, we wish there was a simple checklist that would help us decide amongst the candidates we like. To fulfill that wish, here we have some questions (and their answers) presented in a unique way by Julie Zhuo ( Product Design VP @ Facebook) who shares her method of making tasks simple. 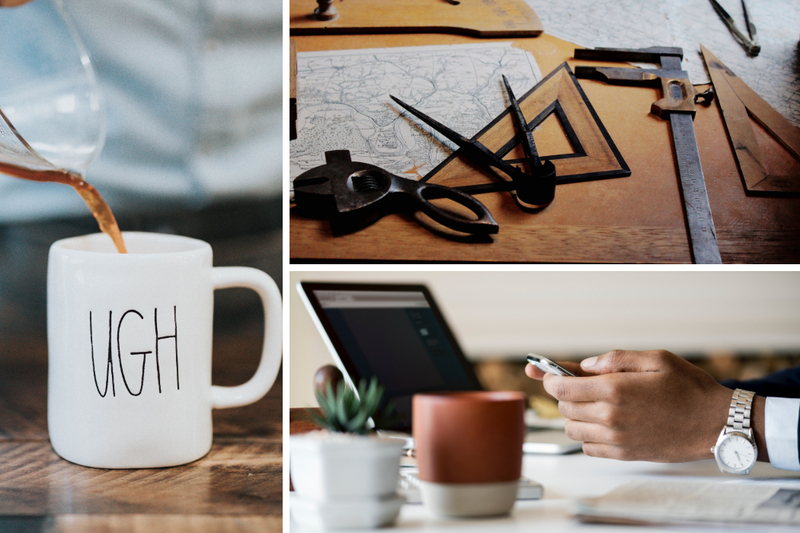 Her list of questions to instantly no-hire a designer is ingenious and easy to implement. Read on about it in the write up below! And to instantly hire your perfect candidate, post a job now at the Yanko Design Job Board. “Uh, whatcha doing?” I ask. You frown. (Apparently, you expected more out of my powers of deduction after all that Sherlock-watching). “My toilet broke,” you say, “So I bought a bunch of stuff at Home Depot to fix it.” You wipe your hands on your jeans, step back, and crank a lever. There is a loud gurgling sound as the machine rumbles to life, then burps silent. “It works,” you say with some satisfaction. And it is. It looks like an invention from the days of airships and steam engines, all polished metal and criss-crossing pipes and clicking, whirring gears. I’d never seen anything quite like it before. I point to a dial where a thin, red arrow trembles between a bunch of numbers. “What’s that for?” I ask. Cut scene. The bathroom ripples and fades away (a pretty trippy animation, if you ask me.) Suddenly we are designers, sitting in an interview room, and your steampunk toilet has morphed seamlessly into an example your past design work. I have just asked you why you decided to use a list view to showcase a bunch of photos on one of your interfaces. The correct answer is B, obviously. The others are insta-No-Hire answers. Ludicrous scenario aside, you wouldn’t accept a plumber doing stuff to fix your toilet without some very clear, rational purpose, and you shouldn’t accept a designer doing so either. Making stuff look good is not a goal in of itself. Neither is striving to be innovative. These are byproducts of doing the thing that actually matters, which is, namely, solving a problem. 1) Point to some part of their design and ask them why they made that decision. (Why is that button chartreuse? Why does your navigation resemble a flower petal? Why’d you decide to build the Instagram of Dropboxes in the first place?). They should have good, compelling and thoughtful explanations that tie back to the problem they were trying to solve. 2) Pitch them an alternative design idea to what they showed. (Have you considered magenta buttons? How about shaping your nav to resemble a young sapling? What do you think of repositioning your product as the Dropbox of Instagrams instead?) Either they’ve already considered it (all the better if they bust out old mocks or sketches), or they can respond on-the-spot with deep, critical thoughts about the tradeoffs. 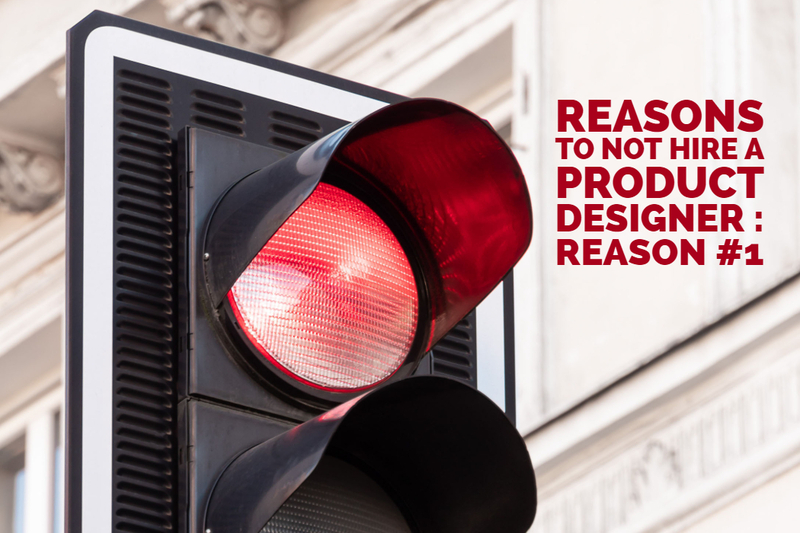 3) Ask them why they think another product was designed the way it was. A good designer should have plenty to say here, because they assume that, like them, other good designers also make intentional decisions. 4) Look at how they use common design patterns. Do they blindly accept such patterns as Truth? Or do they analyze whether using a common pattern actually works for the problem they’re trying to solve? 5) Look for hints of random decision making. Good designers do not do things randomly, or for the hell of it, or just because it seemed cool. Even if a steampunk toilet does seem pretty damn cool. The write up by Julie Zhou can be found here. 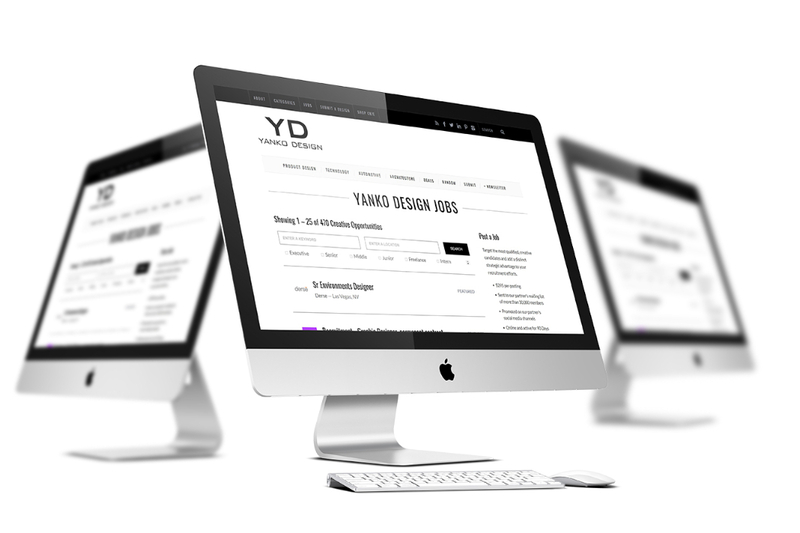 Yanko Design Job Board is the best industrial and product design job board to recruit high-quality candidates for your company. Post a job now to connect! Centralized crypto exchanges like Coinbase are easy but expensive because they introduce a middleman. Not-for-profit project 0x allows any developer to quickly build their own decentralized cryptocurrency exchange and decide their own fees. It acts like Craigslist, connecting traders without ever holding the tokens itself. And instead of having to bootstrap their way to enough users trading tokens on their app alone so that there’s liquidity, 0x offers cross-platform liquidity between users on the different projects it powers. The problem is the user experience of decentralized apps is often crappy compared to the consumer apps we’re used to across the rest of tech. From sign-in to recovering accounts to conducting transactions, it’s a lot more complicated than Facebook Login, PayPal, or Shopify. Bitcoin and Ethereum prices remain well below half their peaks because it’s difficult to do much with cryptocurrency right now. Until the decentralized infrastructure improves, the dreams of how blockchains can improve the world remain distant. 0x is trying to fix that by ensuring developers all don’t have to reinvent the exchange wheel. It began as a for-profit exchange before the team recognized the massive usability gap. So instead it became a decentralized exchange protocol, and raised $24 million in an ICO for its ZRX token. That’s how relayers — the apps who use it to build exchanges for ERC20 tokens atop the Ethereum blockchain — can charge fees. It also gives those who collect the most a say in the governance of the protocol. Some of the top projects on 0x like Augur and Dydx are going strong. Last week Coinbase announced it was exploring whether it might list ZRX and several other currencies for trade on its exchange, helping perk up the price after declines since the new year. Now 0x is putting some of its $24 million to work. It just hired former Facebook designer Chris Kalani to help it improve the usability of its APIs and the products built on top of them. His skills helped Facebook embrace mobile around its 2012 IPO. He then built Wake, raising $3.8 million for the design prototype sharing tool that let teams get instant feedback on their works-in-progress. Kalani sold Wake to design platform InVision in April, and after a few months assisting the transition, he’s joined 0x. 0x is open source, so it could be forked so developers can sidestep ZRX. 0x hopes that the shared liquidity feature will keep developers in line. It only works with the unforked version, and is now being used by 0x-powered projects, including Radar Relay, ERC dEX, Shark Relay, Bamboo Relay and LedgerDex. While some centralized exchanges have suffered security troubles and hacks, those with stronger records like Coinbase continue to thrive while banking off high fees. That in turn lets them offer better liquidity and invest more in the user experience, widening the gap versus decentralized apps. “People trust Coinbase with large amounts of capital but they wouldn’t trust themselves,” Kalani admits. But he thinks it’s early in the game, and as users become more knowledgeable and comfortable with holding their own tokens for use on decentralized exchanges, 0x and ZRX will thrive. There’s also competition within the decentralized exchange space from Kyber’s liquidity network, and AirSwap’s peer-to-peer exchange marketplace. But for any of these to thrive, the mainstream crypto owner will have to get better educated. That could fall to 0x.